The animal increase rite is an ancient indigenous ritual that has been practiced on the high altiplano of the Bolivian Andes for millennia. 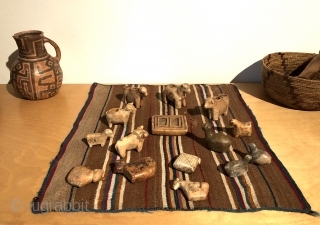 These small alabaster figures were carved by indigenous Aymara shaman. They are of two types called Illas and canopas. 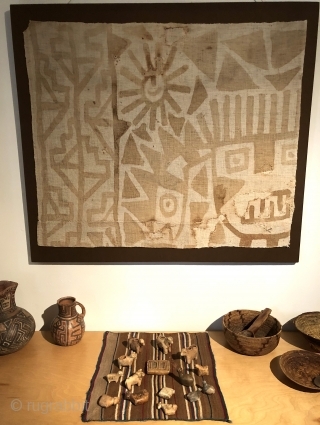 Canopas have holes in the top of the figure used to contain preparations of animal fat and coca leaves. 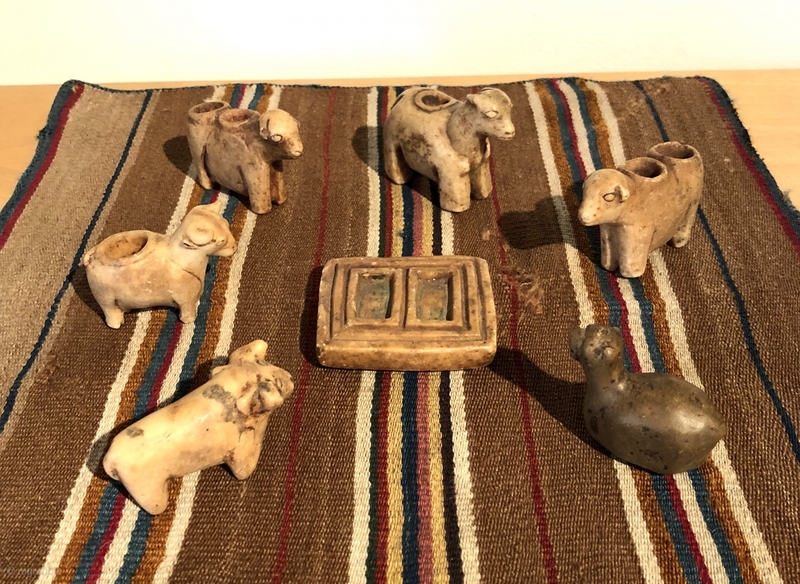 These animal figures were usually arranged on small ritual coca cloths in a ceremony performed to seek the favor of the ancestors and deities for the prosperity of the herds. These stone pieces date to the 19th century. The larger pieces in the image showing only six animals are exceptional examples. Four of these are canopas the other two Illas. The rectangular carving in the center of this image is a magical representation of sacred ceremonial space. The image showing the larger grouping of figures includes examples that are more typical of these kinds of ritual objects - smaller and less detailed - but charming nonetheless. All are authentic ritual objects that have been used in various rites performed for the benefit of the herders and their animals and are an expression of primal pleas of pastoralists for security and well being of the herds. All pieces seen in these images are available for sale.